In 1971, a seemingly ordinary man named Darwin E. Smith became chief executive of Kimberly-Clark, a stodgy old paper company whose stock had fallen 36 percent behind the general market over the previous twenty years. Smith, the company's mild-mannered in-house lawyer, wasn't so sure the board had made the right choice  a feeling further reinforced when a director pulled Smith aside and reminded him that he lacked some of the qualifications for the position. But CEO he was, and CEO he remained for twenty years. What a twenty years it was. In that period, Smith created a stunning transformation, turning Kimberly-Clark into the leading paper-based consumer products company in the world. Under his stewardship, Kimberly-Clark generated cumulative stock returns 4.1 times the general market, handily beating its direct rivals Scott Paper and Procter & Gamble and outperforming such venerable companies as Coca-Cola, Hewlett-Packard, 3M, and General Electric. It was an impressive performance, one of the best examples in the twentieth century of taking a good company and making it great. Yet few people  even ardent students of management and corporate history  know anything about Darwin Smith. He probably would have liked it that way. A man who carried no airs of self-importance, Smith found his favorite companionship among plumbers and electricians and spent his vacations rumbling around his Wisconsin farm in the cab of a backhoe, digging holes and moving rocks. He never cultivated hero status or executive celebrity status. When a journalist asked him to describe his management style, Smith, dressed unfashionably like a farm boy wearing his first suit bought at J. C. Penney, just stared back from the other side of his nerdy-looking black-rimmed glasses. After a long, uncomfortable silence, he said simply: "Eccentric." The Wall Street Journal did not write a splashy feature on Darwin Smith. But if you were to think of Darwin Smith as somehow meek or soft, you would be terribly mistaken. His awkward shyness and lack of pretense was coupled with a fierce, even stoic, resolve toward life. Smith grew up as a poor Indiana farm-town boy, putting himself through college by working the day shift at International Harvester and attending Indiana University at night. One day, he lost part of a finger on the job. The story goes that he went to class that evening and returned to work the next day. While that might be a bit of an exaggeration, he clearly did not let a lost finger slow down his progress toward graduation. He kept working full-time, he kept going to class at night, and he earned admission to Harvard Law School. Later in life, two months after becoming CEO, doctors diagnosed Smith with nose and throat cancer, predicting he had less than a year to live. He informed the board but made it clear that he was not dead yet and had no plans to die anytime soon. 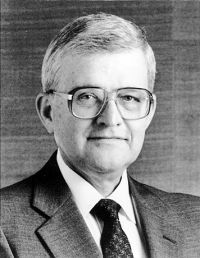 Smith held fully to his demanding work schedule while commuting weekly from Wisconsin to Houston for radiation therapy and lived twenty-five more years, most of them as CEO. Smith brought that same ferocious resolve to rebuilding Kimberly-Clark, especially when he made the most dramatic decision in the company's history: Sell the mills. Shortly after he became CEO, Smith and his team had concluded that the traditional core business  coated paper  was doomed to mediocrity. Its economics were bad and the competition weak. But, they reasoned, if Kimberly-Clark thrust itself into the fire of the consumer paper-products industry, world-class competition like Procter & Gamble would force it to achieve greatness or perish. So, like the general who burned the boats upon landing, leaving only one option (succeed or die), Smith announced the decision to sell the mills, in what one board member called the gutsiest move he'd ever seen a CEO make. Sell even the mill in Kimberly, Wisconsin, and throw all the proceeds into the consumer business, investing in brands like Huggies and Kleenex. The business media called the move stupid and Wall Street analysts downgraded the stock. Smith never wavered. Twenty-five years later, Kimberly-Clark owned Scott Paper outright and beat Procter & Gamble in six of eight product categories. In retirement, Smith reflected on his exceptional performance, saying simply, "I never stopped trying to become qualified for the job." Note re. the general who burned his boats: Collins may have been referring to Hernando Cortez, who is known for burning his fleet so that there would be no possibility of a safe retreat in his determined conquest of Mexico. See an essay by Shawn Nevins relating the leap From Good to Great to the spiritual search.